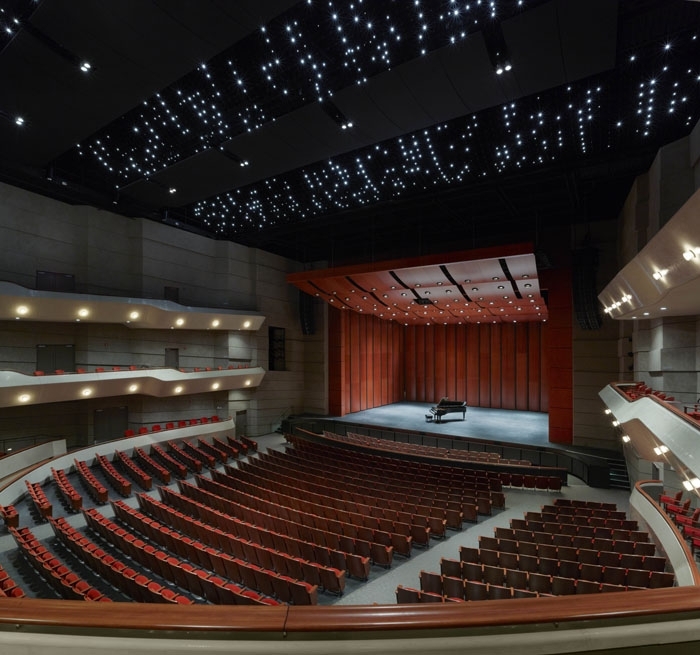 Auerbach Pollock Friedlander provided theatre and audio-video consulting services for the new $80 million Performing Arts Center. 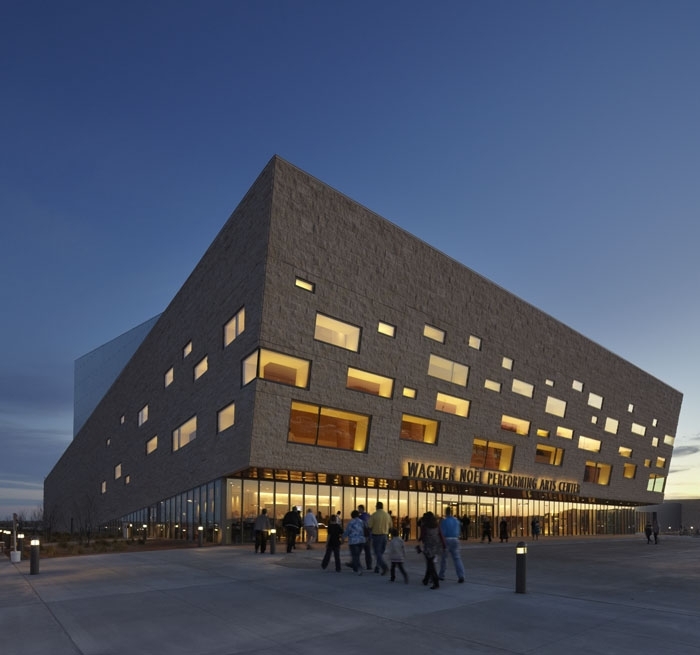 The heart of the complex – a 1,800-seat hall for touring Broadway productions, concerts and attractions – fills a gap in an arts-rich region that had been previously under-served. 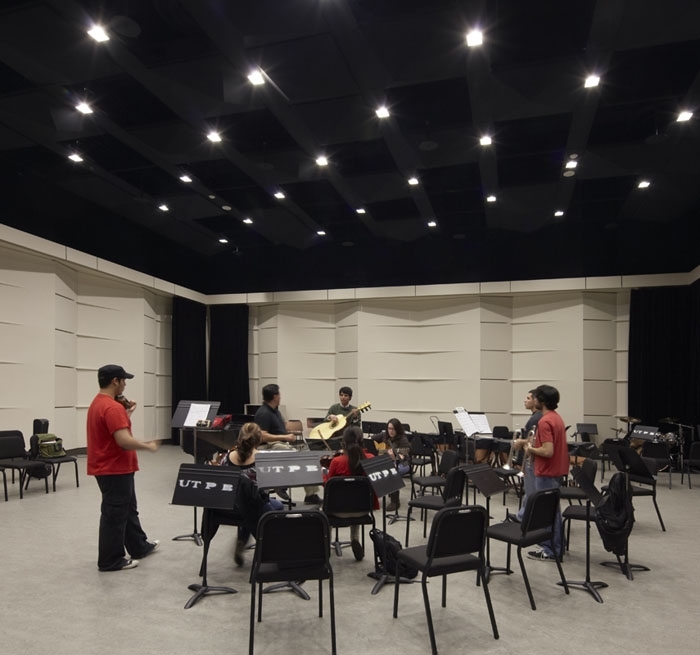 Rea-Greathouse Recital Hall, the Center’s practice facility and 200-seat flexible venue, provides a home for the growing university’s music department as well as community and regional events. With ample seating and natural acoustical support for a broad range of live programming, including the region’s well-established international lecture series, the main theatre’s audio-video design provides numerous touring – rider-friendly – features including self-powered left, center and right line arrays that are suitable for touring Broadway shows through digital mixing consoles at front of house and monitor position with passive microphone splitters; a portable monitor package and industry-standard production communications systems. Greathouse Hall, planned to host smaller performances, dinners and receptions, is well-equipped with audio-video systems to support these functions as well as a comprehensive variable acoustic system carefully integrated behind the openwork architectural grilles that characterize the walls and ceiling of the room. 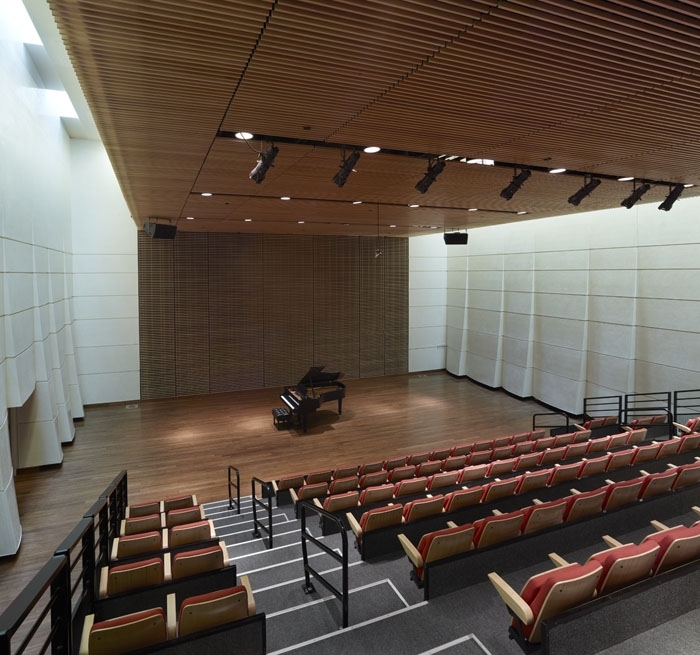 This recital hall, with its formal theatre-style seating, provides an elegant yet flexible space for the university and its users. Immediately adjacent to Greathouse Hall is a recording control room that supports documenting performances, in both the main hall and the recital hall, and serves as a classroom for teaching stereo and surround-sound recording and mixing techniques.